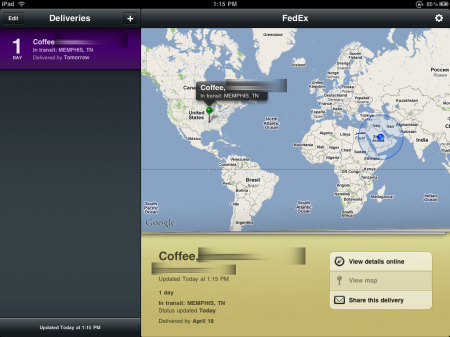 Delivery Status from JUNECLOUD is a Mac OS X Widget that can track your shipments and online orders. It supports a number of companies including Aramex as we talked about before. Just download and install the Widget in the Dashboard then add the items that you would like to track. The Widget is free and you can download it here. 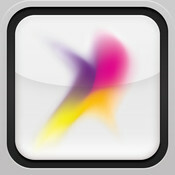 JUNECLOUD also released an iPhone and iPod touch App in the App Store. 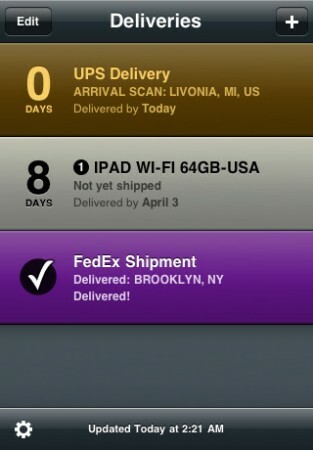 The app is called Delivery Status touch and it has been updated to be a Universal App and run on the iPad. The App is extremely easy to use, just add the shipments and it will track them for you. 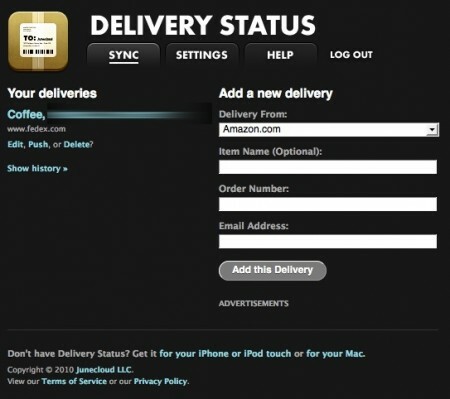 The app supports Push Notifications and it can be synced with the Delivery Status widget on the Mac. You can also sign up for the free Delivery Status Sync service which synchronizes shipping data between your Macs, iPhone, iPod touch and iPad. Delivery Status touch is available in the App Store for $4.99. My Rating: Excellent app, worth the price. Now thats what I am talking about. Khaled has recommended this great app to me before, I have been using it since. Great app that utilizes the web, the app, and a free widget to track your shipments over multiple devices. Including your iPad. A must have. Personally, I think push notifications are the whole point of this type of app – so Parcel and Posted are better alternatives. I use PostedÂ predominantlyÂ and never had an issue.